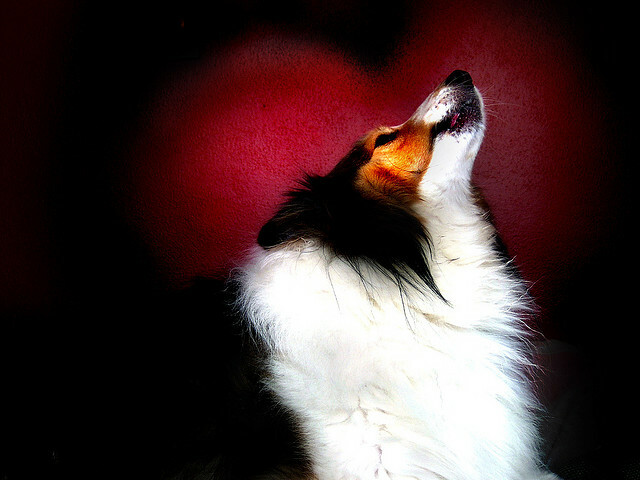 We bought Miles in 1999 on January 4th from a Shetland Sheepdog breeder just off of I-90 near Utica, MN. He was the last one of the litter and it was truly love at first sight. Purchased at the discounted price of $75 we contemplated names on the way back from the farm. We entertained the name Giles because we had just seen the movie Loaded and we we’re diggin’ the character named Giles in the movie. The idea was tossed around for awhile and near the stop lights on HWY 14 and 61 we had decided on the name Miles because of the miles we had traveled to get him and, well, it seemed much less pretentious than Giles (and knowing Miles he was the furthest thing from pretentious that you could get). The day after picking Miles up we went to the Prairie Island Deer Park to take him out for a walk. It was snowy and after letting him off his leash Miles disappeared from sight – but only for a few moment, seconds later he was back and that would prove to be his nature for the rest of his life. Never far away. Always with his pack. He loved to sing. His favorite song was Love Hurts. Miles’ voice shot out pure and true like a lovely oboe from a Mozart song. Miles was gentle and a stoic. He allowed many doggy rides from Rhen and always hid his discomfort from us. During the summer while we would shoot hoops, Miles would chill on the top of our front steps, scenting the night air while watching the cars drift by on our busy street. Miles never needed a leash because he was always about being with the pack. In the end, Miles succumbed to kidney failure, which is common in Shelties. Two months ago he was diagnosed with pancreatitis which we treated him with a bland diet of boiled chicken and other low fat foods. The numbers after his blood test showed that he had done well with our change of diet however his kidney’s did not fair so well during this times. The veterinarian told us we could run dialysis on him which would buy him approximately 3 days to 5 months. No crystal ball. No guarantees. In the end our vet suspected cancer would be found to be the root cause of it. But once again, no clear answers without running the tests and treatment. God bless those of the animal health care profession. Our vets were so humane and kind to us. Miles, I love you. Go softly baby dog. I will never forget you and all the adventures we had together. Teddy Bear. You are the Prince of the Forest and we will see again one day.